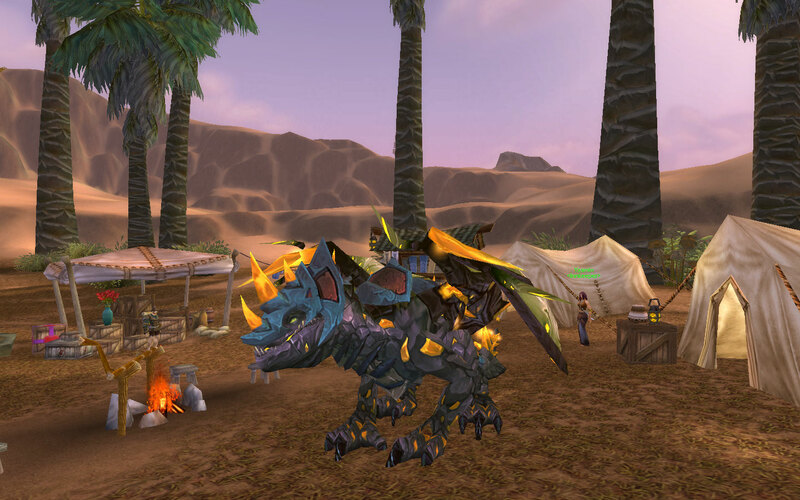 So how is everyone liking transmogrification so far? 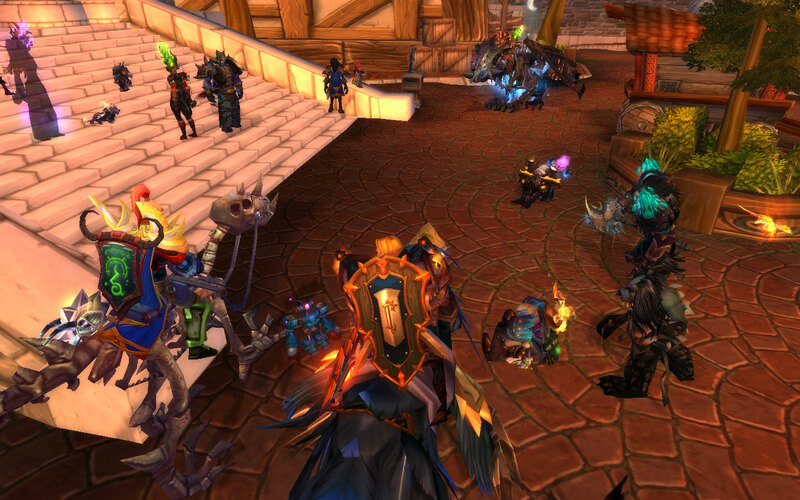 I’m finding it quite fun, and from what I’ve seen around town and at the Faire, a lot of others are, too. Most people are using one of two methods to get a nice look. One way is to just take some things that you like, and put them together in a nice, color-coordinated ensemble. 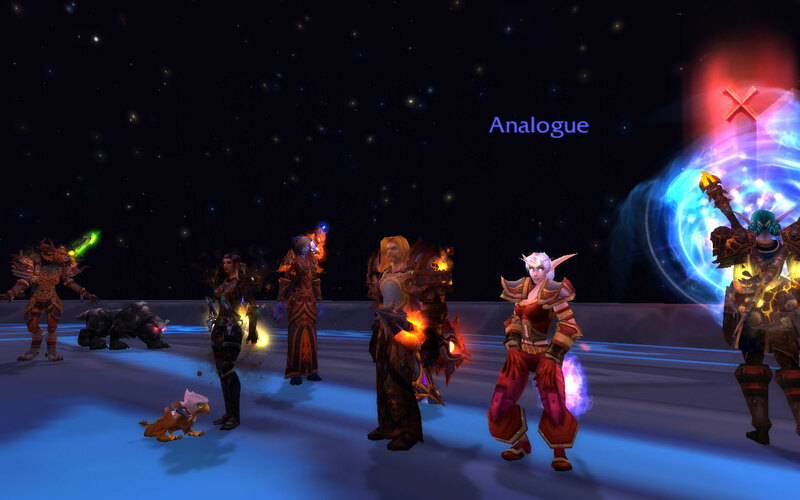 Analogue mentioned her outfit on her blog, knowing that I took a screenshot and would likely be posting it. Well, I am happy to oblige. Very tasteful yet attractive at the same time. Two thumbs up on that one. Others simply put on a favorite tier set. This is a good way to ensure that your armor will all match and look great together, like Grom’s Judgement set from tier 2. Again, nicely done. You just can’t go wrong with a complete tier set. And here we thought that the introduction of mogging meant no more clown suits. Wait .. what is that behind him? She needs some new clothes, hers seem to be missing half of their material. If you look close, I’m pretty sure my horse has his eyes closed. If this were a cartoon he’d also be holding a hoof over his face. To make it even worse, Hart yells ‘RAINBOW KNIGHT’ every couple of minutes just for kicks. Even the shield is … well, see for yourself. 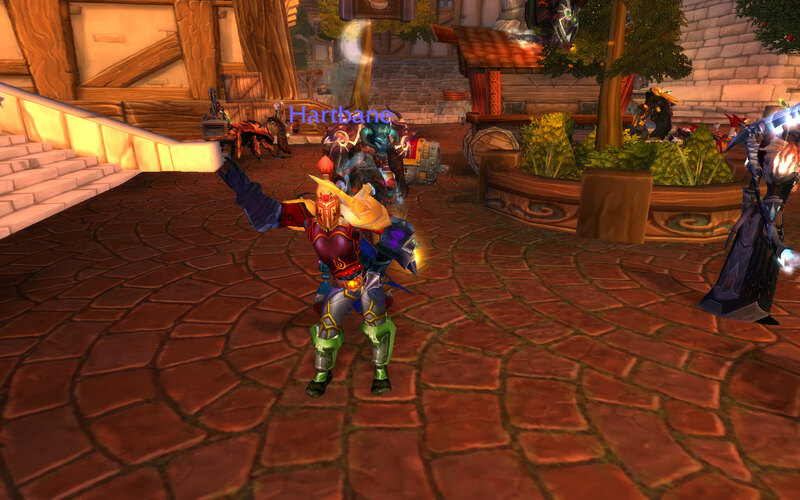 So I guess you can clearly see why I hang out with Hartbane. lol. As I mentioned yesterday, Kaly ran heroics all day long for two days. By Monday evening, I was so sick of instances. It was definitely time for a little rest and relaxation. So I hopped on Karius and used his Lost Relic of Argus to determine which continent he would be digging on. That’s the way I do it when I’m too tired to bother having a plan. I forget where it sent him exactly, but it was in the Eastern Kingdoms. I think it might have been Wetlands. 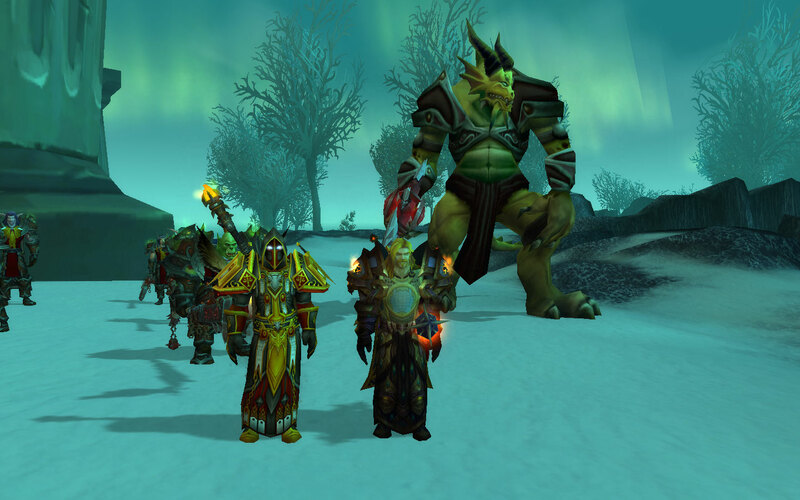 Anyway, there was no dig site close, so he hearthed to Light’s Hope and flew to a site in the Hinterlands. As he was in flight, a sudden thought occurred to me. “I know a way to make this even more fun.” Of course, I finished the dig site first … and then I went back to Stormwind and did a little toon hopping to transfer the rest of the gold I needed. I’d been putting this off for too long. It was time. Here I am, getting ready to breathe fire on … oh. I can’t breathe fire? Well WTF. 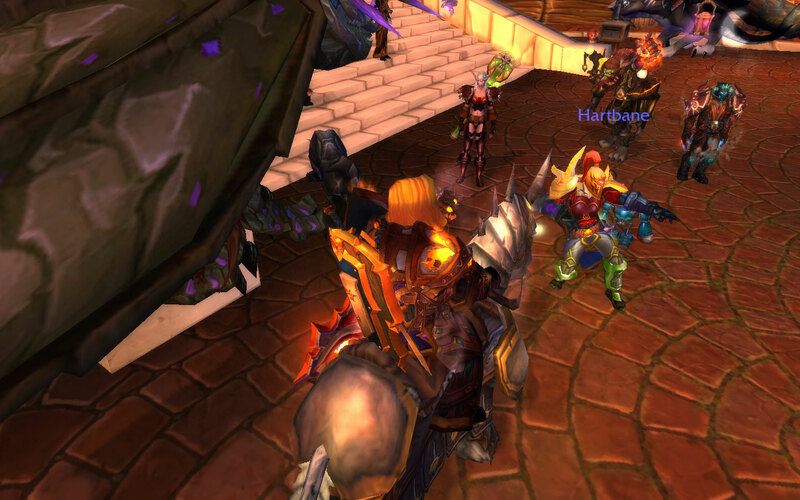 About this time, my buddy Empyrean whispers me, asking where the troll starting area is. The holiday is almost over and he hasn’t found a troll rogue yet. (Ha! Big surprise there. I had to have my sweet Chan make both of the ones I needed.) So I told him to meet me in Theramore and I’d fly him over to the Echo Isles. Thus, he got to be the first one to ride Karius. 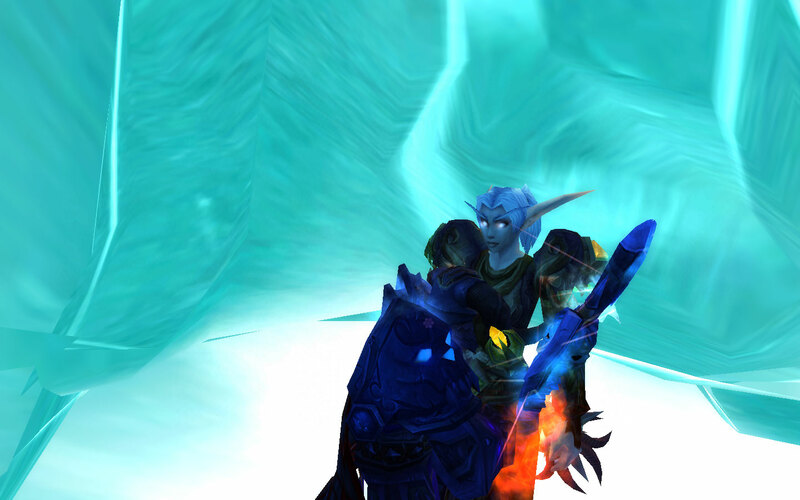 We had no luck in Sen’jin, though, so I whispered Analogue and sweet talked her into making one for him. Dance party! Sadly, Sandstone Drakes dance about as well as they breathe fire. Oh well. 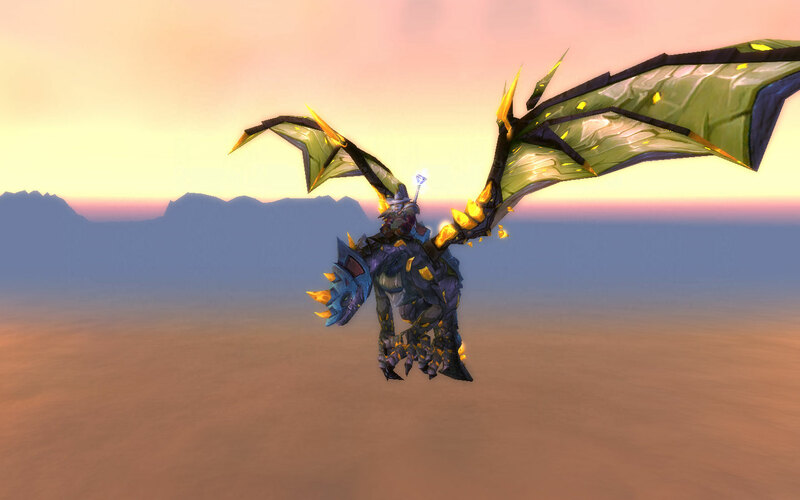 It was still totally worth spending 29k gold to turn into a dragon.